So you’ve lost your Fitbit. No, not lost, misplaced. That shining, glorious, tiny bundle of masterfully engineered micro-components has mysteriously abandoned the warm confines of your pocket to wander the world alone. 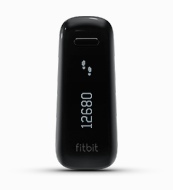 Second, if you have a Fitbit One or Fitbit Flex, set a silent alarm for 10 minutes in the future from your smartphone’s Fitbit app (then make sure it syncs). Finally, listen for that tell-tale BZZZ-BZZZ-BZZZZZZZZ of the silent alarm at the appointed time in every possible nook and cranny of the 30-foot radius around you. If you do find it, revel in the glory of your (re)discovery. If you don’t, try again and again until you break down in tears of bitter sorrow for your lost bit of first-world finery, then go ahead and (angrily) buy a new one.